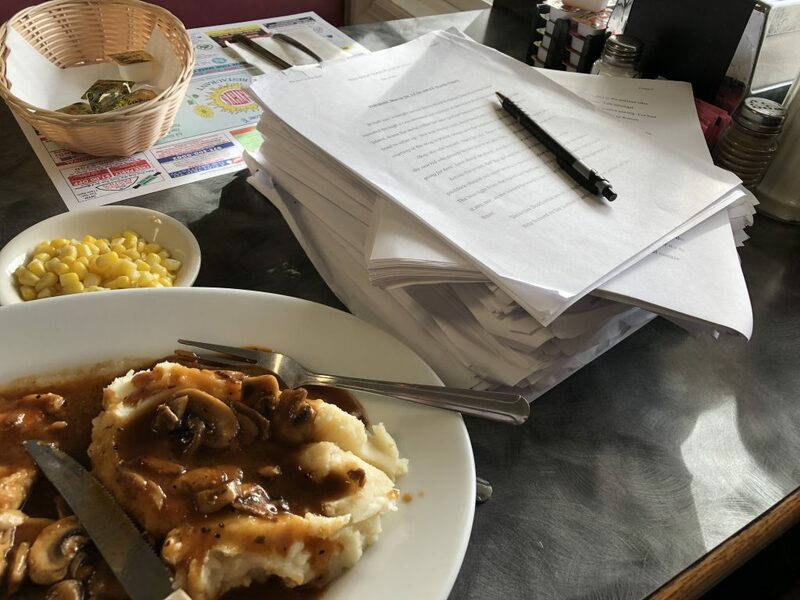 I spent yesterday doing a final polish on Nita’s book including a lunch non-break at my diner where I ate comfort food and edited at the same time. I’m a multi-tasker, I can do that. Today, Nita went to NYC via the internet, and I am back to digging through my old WiPs to see if I can find the chunk of You Again I lost. I’m bitter about that, I remember the stuff I wrote and it really opened up the book. Damn it. Still, the key fact here is . . .